Every once in a while you stumble upon something really unique. 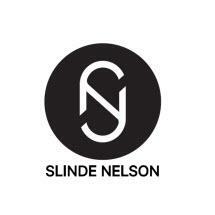 Slinde Nelson is a very different kind of law firm. We’re a full-service firm that provides a suite of legal solutions for every business owner and C-level executive. What sets us apart, though, is the way in which our lawyers — somewhat unlike those toiling in most other firms — deliver business and legal services, quite unlike most other firms. Our referral lists, retention rates, testimonials, and client surveys indicate we’re certainly doing something right. Our attorneys founded, managed, sold and invested in businesses of their own. Given that experience, we know what our clients want, need and expect from their lawyers. More importantly, we know how they want it delivered. And how unique is that? A legal team with real-world experience delivering large-firm services with the client foremost in mind. That's pretty different.